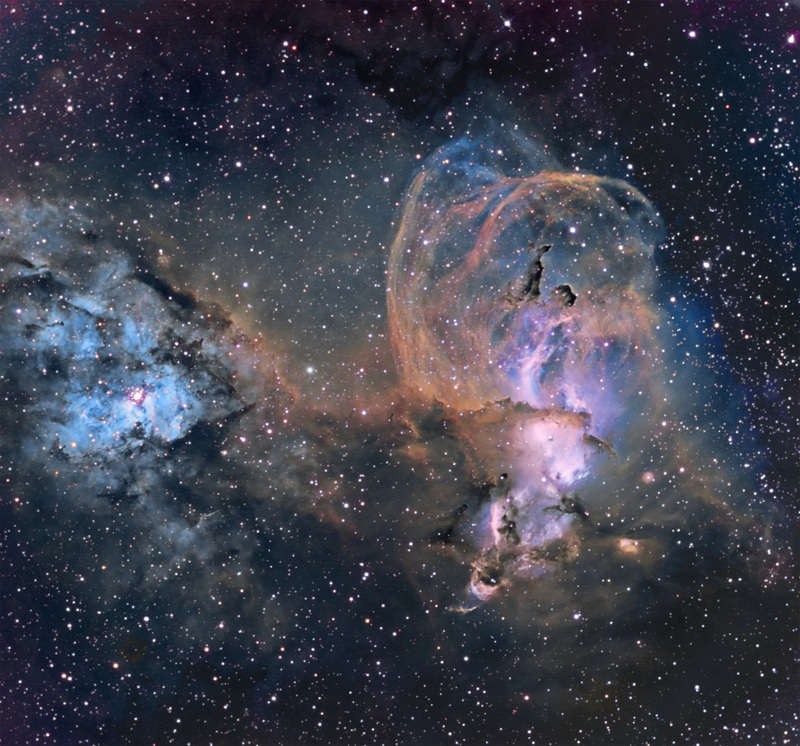 NGC 3576, the nebula on the right, is a giant HII region in the constellation of Carina about 9,000 light years from Earth. Chandra showed many X-Ray point sources that are young massive stars hidden from site within the dark clouds. They are shredding the clouds apart due to their hot winds. It is also known as Gum38aj and forms the western part of RCW57. Color mapping using the Hubble palette: R = SII, G = H-a and B = OIII.